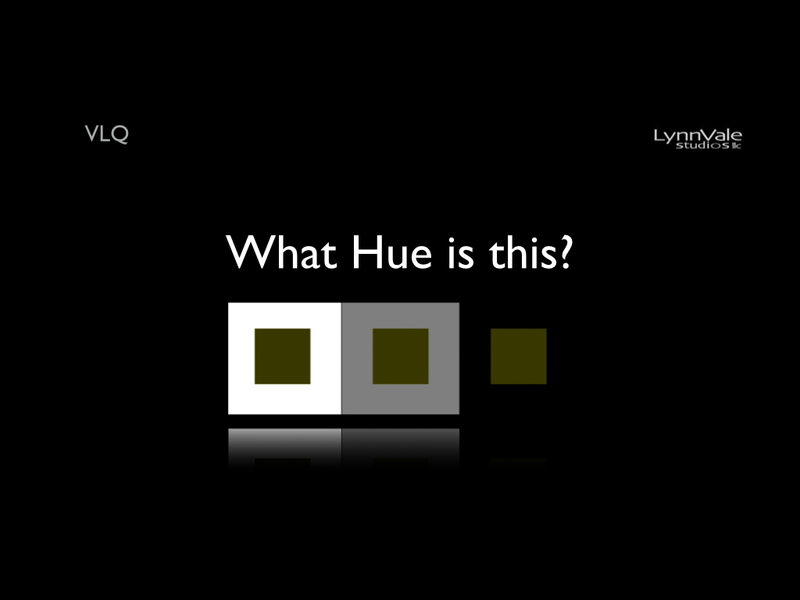 The first question in the Visual Literacy Quiz asks you to identify the Hue. Each of the colored squares are identical but are shown against a white, gray and black background. Explanation: Hue is the attribute of a color by virtue of which it is discernible as red, green, etc., and which is dependent on its dominant wavelength, and independent of intensity or lightness. 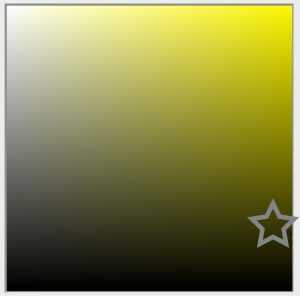 To be more specific this is dark yellow.